Thinking beyond the frame or outside of the box...we are loving the "Altered Perspectives" series of art installations created by Little Owl Design founders Bruce Wayland and Marcello De Simone. 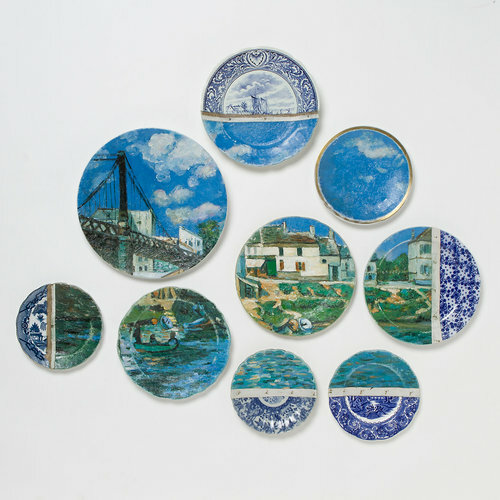 Two found European art objects are merged--historical paintings and transferware plates-- to create one composition that plays with the negative space of the wall and prompts conversation. For more information, please visit Little Owl Design's website http://littleowl.eu/. 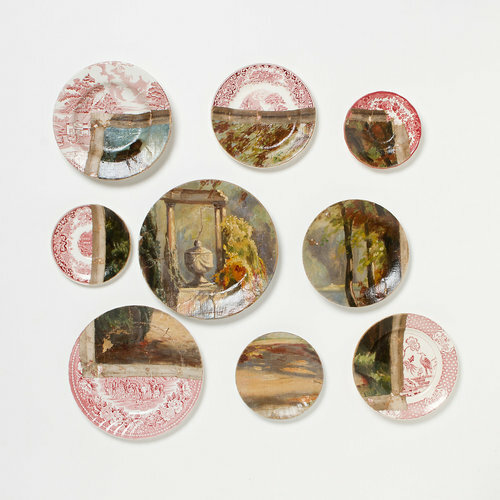 These works can be found on http://www.shopterrain.com/.